I am the Dynamic optical networking and switching Department Head at Bell Labs (Nokia, formerly Alcatel-Lucent) near Paris. Y. Pointurier: Experimental Demonstration of an Impairment Aware Network Planning and Operation Tool for Transparent/Translucent Optical Networks, IEEE/OSA Journal of Lightwave Technology, vol. 29, no. 4, pp. 439-448, 2011 (S. Azodolmolky, J. Perellò, M. Angelou, F. Agraz, L. Velasco, S. Spadaro, Y. Pointurier, A. Francescon, C.V. Saradhi, P. Kokkinos, E. Varvarigos, S. Al Zahr, M. Gagnaire, M. Gunkel, D. Klonidis, I. Tomkos). Miquel A. Mestre, Ph.D. supervisor (Telecom SudParis), 2016. Djamel Amar, Ph.D. jury examiner (Telecom SudParis), 2016. Nihel Benzaoui, Ph.D. supervisor (Telecom ParisTech), 2011-2015: Multilayer mechanisms for optical packet networks / Mécanismes Multicouches pour les Réseaux de Paquets Optiques. Ion Popescu, Ph.D. jury invited member (Telecom Bretagne), 2015. Ahmed Triki, Ph.D. examiner (Telecom Bretagne), 2014. Lida Sadeghioon, Ph.D. examiner (Telecom Bretagne), 2013. Raluca-Maria Indre, Ph.D. examiner (Telecom ParisTech), 2012. CELTIC+ SENDATE-TANDEM (national funding), project coordinator, 2016-now. H2020 ORCHESTRA (European Commission), contributor, 2015-now. CELTIC+ SASER (national funding), coordinator for France, 2012-2015. FP7 ALPHA (European Commission), contributor, 2009-2011. FP7 DICONET (European Commission), technical leader, 2008-2009. TPC member at OFC for subcommittee N2 on "Architectures and software-defined control", 2019-2021. Associate Editor for Journal of Optical Communications and Networking (JOCN) since 2018. TPC member for IEEE Globecom 2015-2019. TPC member for IEEE ICC 2008, 2009, 2010, 2011, 2012, 2013, 2014, 2015, 2016, 2017. TPC member for PS ((Photonics in Switching) 2015, PSC (Photonics in Switching and Computing) 2018. Current or past reviewer for IEEE Communications Magazine, Journal of Optical Communications and Networking (JOCN), IEEE Transactions on Signal Processing, IEEE/ACM Transactions on Networking, IEEE/OSA Journal of Lightwave Technology, IEEE Communications Letters, Elsevier Optical Switching and Networking, Elsevier Computers and Electrical Engineering. Current or past reviewer for IEEE/ACM Infocom, IEEE ICC (International Conference on Communications), ITC (International Teletraffic Congress), IEEE Globecom. 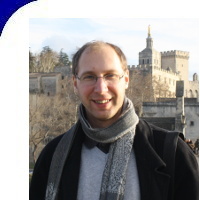 Co-organizer of an ECOC 2009 symposium on dynamic multi-layer mesh networks. Local organization chair for GridNets 2009. PlanetLab nodes manager at McGill University. "Transport Evolution for the Radio Access Network (RAN) of the Future", IEEE/OSA Journal of Optical Communications and Networking, 2019. "Automated fiber type identification in SDN-enabled optical networks", IEEE/OSA Journal of Lightwave Technology, 2019. "End-to-end time sensitive optical networking: challenges and solutions", IEEE/OSA Journal of Lightwave Technology, 2019. "Cloud-BOSS Intra-Data Center Network: on-demand QoS guarantees via μs Optical Slot Switching", IEEE/OSA Journal of Optical Communications and Networking, July 2018. "Learning process for reducing uncertainties on network parameters and design margins", IEEE/OSA Journal of Optical Communications and Networking, February 2018. "Optical Ethernet - Flexible Optical Metro Networks", IEEE/OSA Journal of Lightwave Technology, June 2017. "Design of low-margin optical networks", IEEE/OSA Journal of Optical Communications and Networking, January 2017. "Transport mechanisms for mobility support in optical slot switching-based next-generation mobile backhaul networks", IEEE/OSA Journal of Lightwave Technology, April 2016. "Monolithic integrated slot-blocker for high datarate coherent optical slot switched networks", IEEE/OSA Journal of Lightwave Technology, April 2016. "Capacity Enhanced Receivers for Low Latency Burst Optical Slot Switching Rings", Springer Photonic Network Communications, February 2016. "High Data Rate Coherent Optical Slot Switched Networks: A Practical and Technological Perspective", IEEE Communications Magazine, August 2015. "Optical Slot Switching Latency in Mobile Backhaul Networks", IEEE/OSA Journal of Lightwave Technology, April 2015. "Direct modulation of hybrid integrated InP/Si transmitters for short and long reach access network", IEEE/OSA Journal of Lightwave Technology, April 2015. "Impact of the electronic architecture of optical slot switching nodes on latency in ring networks", IEEE/OSA Journal of Optical Communications and Networking, August 2014. "DDN: Dynamic Deterministic Networks," Proceedings of the European Conference on Optical Communication (ECOC), Rome, Italy, 23-27 September 2018. "Interactive automated fiber type detection," Proceedings of the European Conference on Optical Communication (ECOC), Rome, Italy, 23-27 September 2018. "Automated fiber type detection," Proceedings of the European Conference on Optical Communication (ECOC), Rome, Italy, 23-27 September 2018. "Cloud-BOSS Intra-Data Center Network: on-Demand QoS Guarantees via μs Optical Slot Switching," Proceedings of the European Conference on Optical Communication (ECOC), Gothenburg, Sweden, 17-21 September 2017. "Traffic management in SDN-enabled optical packet switching intra-datacenter network," Proceedings of the IEEE Opto-Electronics and Communications Conference (OECC), Singapore, 31 July-4 August 2017. "Cost Efficient Network Slicing for Optical Packet Switched Torus Data Centers," Proceedings of the IEEE International Conference on Communications (ICC), Paris, France, 21-25 May 2017. "Learning process for reducing uncertainties on network parameters and design margins," Proceedings of the IEEE/OSA Optical Fiber Communication Conference (OFC), Los Angeles, CA, USA, 19-23 March 2017. Paper W4F.6, highly scored paper. "Latency in a 2D torus Burst Optical Slot Switching Data Center," Proceedings of the IEEE/OSA Optical Fiber Communication Conference (OFC), Los Angeles, CA, USA, 19-23 March 2017. "ORCHESTRA - Optical Performance Monitoring Enabling Flexible Networking," Proceedings of the European Conference on Networks and Communications (EuCNC), Athens, Greece, 27-30 June 2016. "16-channel 100 GHz-spaced Integrated Polarization Diversity Silicon-based Slot-Blocker for High Data Rate Reconfigurable Networks," Proceedings of the IEEE/OSA Optical Fiber Communication Conference (OFC), Anaheim, CA, USA, 20-24 March 2016. "Mobility support in optical slot switching-based next-generation mobile backhaul networks," Proceedings of the European Conference on Optical Communication (ECOC), Valencia, Spain, 27 September - 1 October 2015. "Monolithic Integrated Reflective Polarization Diversity SOI-based Slot-Blocker for Fast Reconfigurable 128 Gb/s and 256 Gb/s Optical Networks," Proceedings of the European Conference on Optical Communication (ECOC), Valencia, Spain, 27 September - 1 October 2015. Harm Dorren Commemoration Prize and highly scored paper. "Green Optical Slot Switching Torus for Mega-Datacenters," Proceedings of the European Conference on Optical Communication (ECOC), Valencia, Spain, 27 September - 1 October 2015. "Scalable Routing, Scheduling and Virtualization for TWIN Optical Burst Switching Networks," Proceedings of the European Conference on Networks and Optical Communications (NOC), London, UK, 30 June-2 July 2015. "Small Form Factor Reflective Integrated Silicon-based Slot-Blocker," Proceedings of the OptoElectronics and Communications Conference and Photonics in Switching (OECC), Shanghai, China, 28 June-2 July 2015. "Optical Receivers with Multiple Front-Ends for Low Latency Optical Slot Switching Rings," Proceedings of the Optical Network Design and Modeling conference (ONDM), Pisa, Italy, 11-14 May 2015. "On the Cost of Protection in Optical Slot Switching Rings with Elastic Transponders," Proceedings of the IEEE/OSA Optical Fiber Communication Conference (OFC), Los Angeles, CA, USA, 22-26 March 2015. "Optical Slot Switching Latency in Mobile Backhaul Networks," Proceedings of the European Conference on Optical Communication (ECOC), Cannes, France, 21-25 September 2014. "A 20 Gbit/s directly modulated hybrid III-V/Si laser tunable over 12 wavelengths for short-reach access network," Proceedings of the European Conference on Optical Communication (ECOC), Cannes, France, 21-25 September 2014. "Monolithic Integrated Silicon-based Slot-Blocker for Packet-Switched Networks," Proceedings of the European Conference on Optical Communication (ECOC), Cannes, France, 21-25 September 2014. "Optical Slot Switching-Based Datacenters With Elastic Burst-Mode Coherent Transponders," Proceedings of the European Conference on Optical Communication (ECOC), Cannes, France, 21-25 September 2014. "A cost comparison of survivable subwavelength switching optical metro networks," Proceedings of the International Teletraffic Congress (ITC 26), Karlskrona, Sweden, 9-11 September 2014. "A Comparison of Subwavelength Optical Switching Networks for LTE Mobile Backhauling," Proceedings of the International Conference on Transparent Optical Networks (ICTON), Graz, Autria, 6-10 July 2014. "Cost of Protection in Time-Domain Wavelength Interleaved Networks," Proceedings of the European Conference on Networks and Optical Communications (NOC), Milan, Italy, 4-6 June 2014. "Efficient Resource Allocation in Time-Domain Wavelength Interleaved Networks," Proceedings of the Optical Network Design and Modeling conference (ONDM), Stockholm, Sweden, 19-22 May 2014. "Multicast in Mobile Backhaul with Optical Packet Ring," Proceedings of the IEEE International Workshop on Selected Topics in Wireless and Mobile computing (STWiMob), Lyon, France, 7-9 October 2013. "Combatting dispersion effects in slotted optical rings," Proceedings of the OptoElectronics and Communications Conference and Photonics in Switching (OECC), Kyoto, Japan, 30 June-4 July 2013. "Electronic architectures of optical slot switching nodes," Proceedings of the Optical Network Design and Modeling conference (ONDM), Brest, France, 16-19 April 2013. "Demonstration of the Interconnection of Two Optical Packet Rings with a Hybrid Optoelectronic Packet Router," Proceedings of the European Conference on Optical Communication (ECOC), Turin, Italy, 19-23 September 2010. "Experimental Demonstration of Centralized and Distributed Impairment-Aware Control Plane Schemes for Dynamic Transparent Optical Networks," Proceedings of the IEEE/OSA Optical Fiber Communication Conference (OFC), San Diego, CA, USA, 21-25 March 2010. "Rate-adaptable optical transmission and elastic optical networks," chapter in "Enabling Technologies for High Spectral-efficiency Coherent Optical Communication Networks", May 2016. "Semiconductor Optical Amplifier for Next Generation of High Data Rate Optical Packet-Switched Networks," chapter in "Some Advanced Functionalities of Optical Amplifiers", December 2015. "Analytical models for QoT-aware RWA performance," chapter in "Cross-Layer Design in Optical Networks", 2013. Book chapter; ISBN 978-1-4614-5670-4 (Springer). "DICONET: future generation transparent networking with dynamic impairment awareness," Book chapter, distributed to the attendees of the Future of the Internet Conference, Prague, Czech Republic, 11-13 May 2009. "FSO SpaceComm links and its integration with ground 5G networks," Proceedings of the IEEE/OSA Optical Fiber Communication Conference (OFC), San Diego, CA, USA, 3-7 March 2019. "Boosting Optical Network Operation with Machine Learning," Asia Communications and Photonics Conference, Hangzhou, China, 26-29 October 2018. "Challenges and Solutions for End-to-End Time-Sensitive Optical Networking," European Conference on Optical Communication, Rome, Italy, 23-27 September 2018. "Optical Slot Switching for edge cloud computing," Photonics in Switching and Computing, Limassol, Cyprus, 19-21 September 2018. "Slot switching for deterministic dynamic edge cloud networks," OSA Advanced Photonics Congress, Zurich, Switzerland, 2-5 July 2018. "Marginless Optical Networking with Machine Learning," OFC Show Floor talk, San Diego, CA, USA, 11-15 March 2018. "Traffic engineering in data centers with Cloud-BOSS - Cloud Burst Optical Slot Switching," IEEE Photonics Society Summer Topicals Meeting Series, San Juan, PR, USA, 10-12 July 2017. "Impact of tunability and blocking fabric on optical slot switching ring performance," Proceedings of the International Conference on Transparent Optical Networks (ICTON), Trento, Italy, 10-14 July 2016. "Design of low-margin optical networks," Proceedings of the IEEE/OSA Optical Fiber Communication Conference (OFC), Anaheim, CA, USA, 20-24 March 2016. "Transport mechanisms for mobility support in optical slot switching-based next-generation mobile backhaul networks," Proceedings of the International Conference on Transparent Optical Networks (ICTON), Budapest, Hungary, 5-9 July 2015. "ORCHESTRA - Optical performance monitoring enabling flexible networking," Proceedings of the International Conference on Transparent Optical Networks (ICTON), Budapest, Hungary, 5-9 July 2015. "Optical Networks for Data Centers, Research challenges and the role of photonics," European Conference on Networks and Communications (EUCNC), Paris, France, 29 June - 2 July 2015. Panel P3 on Optical Networks - The Key Technology for Enabling the Deployment of Global ICT Across Society. "Cross-layer, dynamic network orchestration, leveraging software-defined optical performance monitors," Proceedings of the Fotonica conference, Turin, Italy, 6-8 May 2015. "Performance analysis in a next generation optical mobile backhaul network," Proceedings of the International Conference on Transparent Optical Networks (ICTON), Graz, Austria, 6-10 July 2014. "Packet Optical Add/Drop technology for a green metro network," European Conference on Optical Communication, Turin, Italy, 19-23 September 2010. "Issues and Challenges in Physical-Layer Aware Optically Switched Network Design and Operation," Photonics in Switching Conference, Pisa, Italy, 18-20 February 2009. "Lightpath establishment in PCE-based dynamic transparent optical networks assisted by end-to-end Quality of Transmission estimation," Proceedings of the International Conference on Transparent Optical Networks (ICTON), Island of São Miguel, Azores, Portugal, 28 June - 2 July 2009. "On The Offline Physical Layer Impairment Aware RWA Algorithms in Transparent Optical Networks: State-of-the-Art and Beyond," Proceedings of the IEEE/IFIP Conference on Optical Network Design and Modeling (ONDM), Braunschweig, Germany, 18-20 February 2009. "Effects of Crosstalk on the Performance and Design of All-Optical Networks with Fiber Nonlinearities," Proceedings of the Asilomar Conference on Signals, Systems and Computers, Monterey, CA, USA, 7-10 November 2004. Sources: The Mathematics Genealogy Project, Wikipedia. Last modified: March 13 2019 21:20:36.